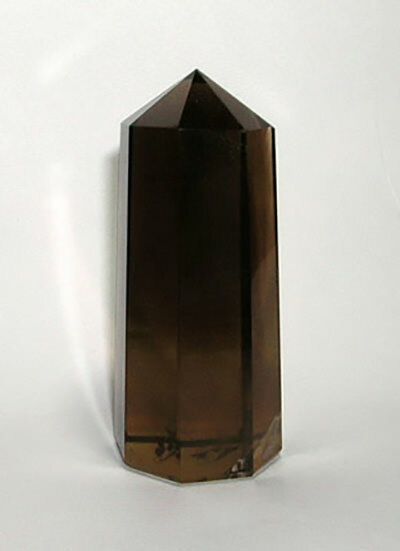 This enchanting Smoky Quartz Tower, is flawlessly crafted from the finest quality smoky quartz rough. 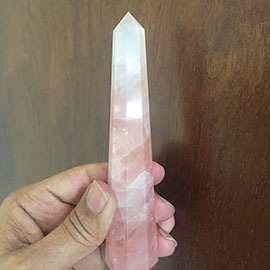 The smooth perfect finish of the Smoky Quartz Tower comes from its perfectly handcrafted design. 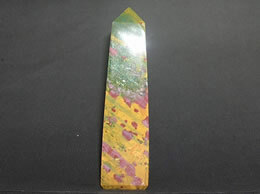 This Smoky Quartz Tower has a beautiful vibrant dark brown color which fades down towards the base of the tower the color pattern of the tower looks absolutely fabulous. 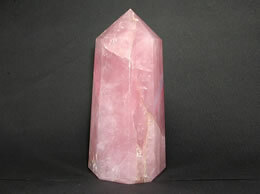 This magnificent Smoky Quartz Tower comes to you after proper research so that you get the original product. 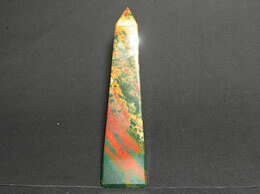 Height – 7.5 Cm, Weight – 140 Grams.AA Quality.8 facets, 34 mm at the Base. 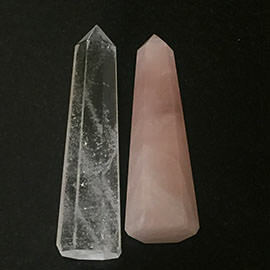 Handcrafted from Natural Quartz crystal with excellent clarity. 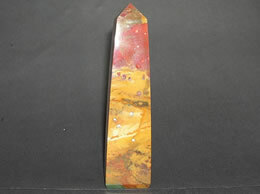 This Smokey Quartz Tower is useful to balance the chakras of the hands and feet. 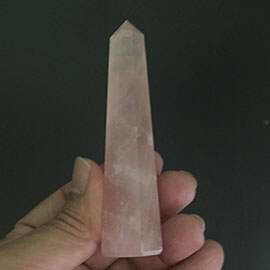 The energy from this tower can dissolve transform negative emotions, negative energy and emotional blockages. 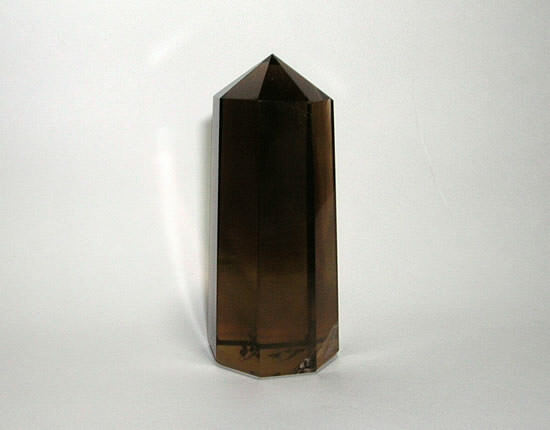 This Smokey Quartz Tower refines your vibrational energies. 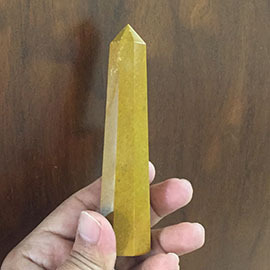 This Smokey Quartz Tower allows clarity of thought and elimination of impeding willfulness.